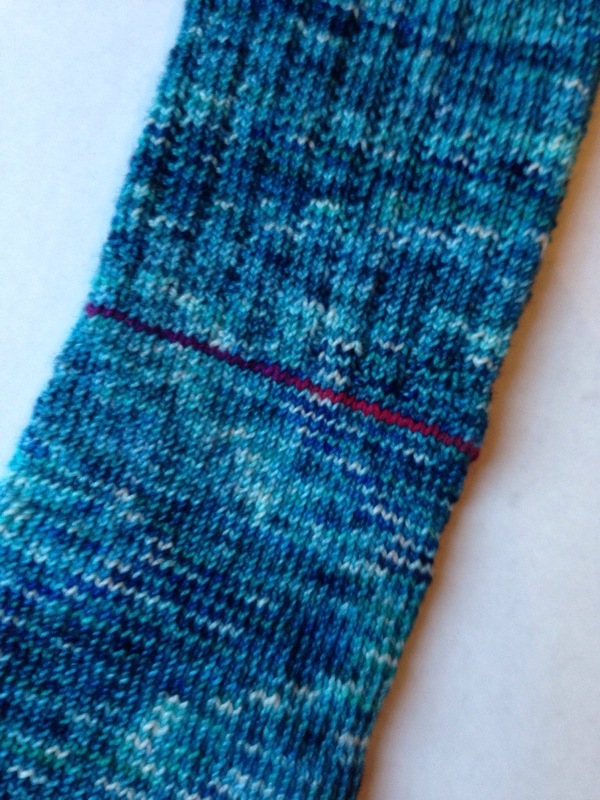 I started these socks, or rather this sock as there is still only one, a while ago. I’m using my own hand dyed yarn for the first time and MadelineTosh sock yarn in Edison Bulb ( I really heart this colorway). Since my own yarn is OOAK and the skein is only about 400 yards, I decided to use the Edison Bulb as a contrast color for the toe and the afterthought heel which I’ll try once I knit the the second sock to this point. I’m knitting these socks for my son and I’ve had some dilemmas about leg length. Very nerve-wracking when using a one-of-a-kind yarn! 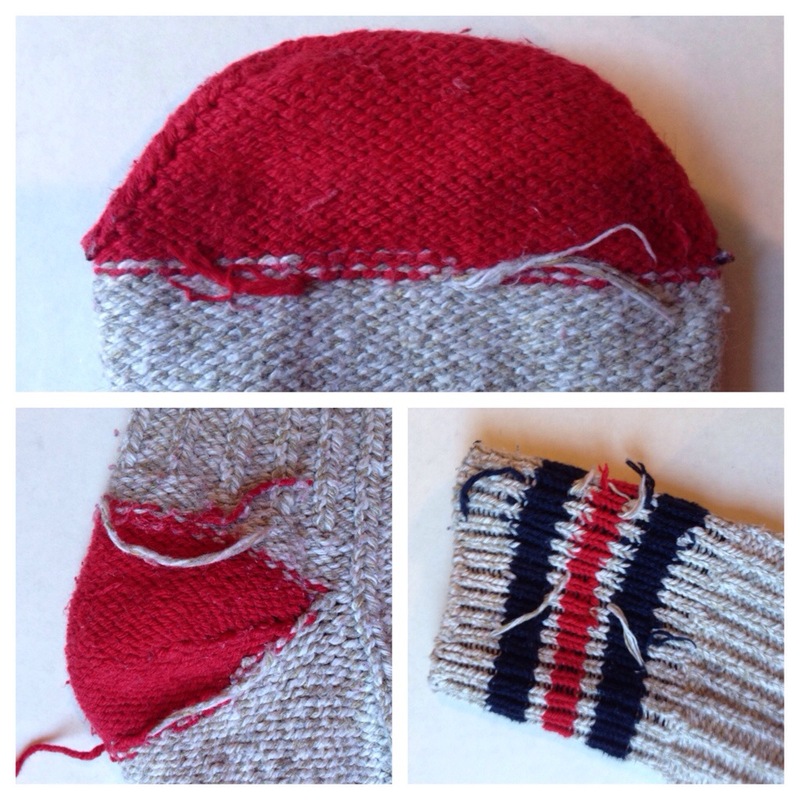 First, I tried knitting this sock with a heel flap but got very nervous about the amount of yarn I had. 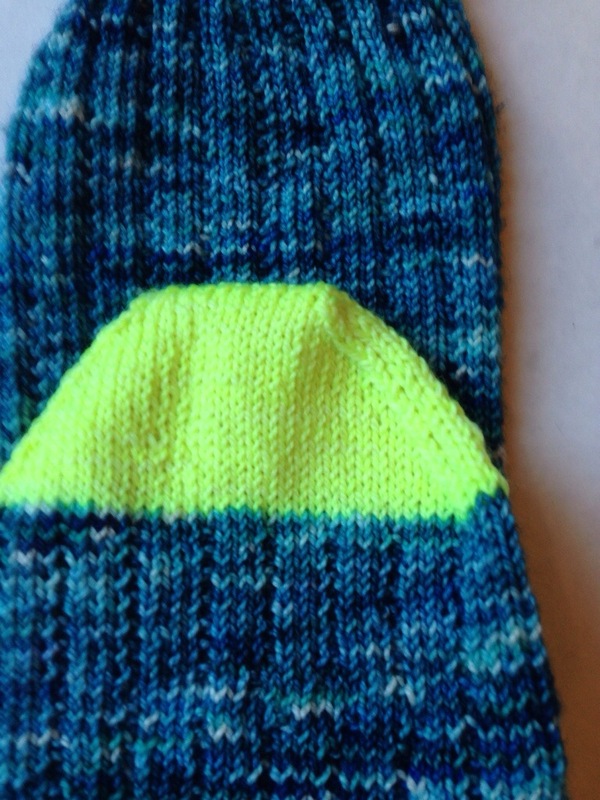 And so I frogged the sock back and marked for an afterthought heel. Then, I became concerned about the leg length and again I frogged the sock back to make it a little shorter. Since I was away from home for most of my knitting time, I didn’t have access to a scale to determine how much yarn was left and the cake of yarn was looking mighty small! I’m pretty sure I’ll have enough for the 2nd sock since I’m now home and constantly weighing the remaining yarn.